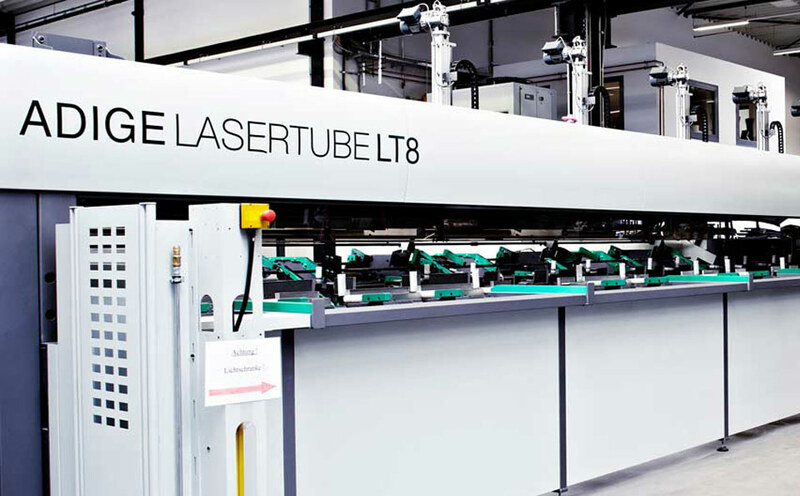 The tube laser machining system increases productivity, flexibility and efficiency by means of new tube handling in conjunction with new mechanical solutions. The key point of the laser is its high capacity for the entire diameter machining field. With the efficient combination of the new mechanical structure and new software, unique solutions are achievable. The laser is equipped with optical weld detection for correct machining settings. Thanks to its effective and efficient machining of irregular cross-sections and exposed profiles, the laser is also suited to innovative applications. With large tubes, three-dimensional machining is a crucial criterion for a system's capability. The laser has a 3D-head for angle cutting of the highest quality and greatest accuracy. The laser has a lance device for extracting the cutting geometry inside the pipe.